Open Box Remo Powerstroke 4 Clear Batter Bass Drum Head with Impact Patch 40 in. The Clear Powerstroke4 offers more durability and focused mid-range tones making them the darkest sounding of the classic clear Weatherking heads. 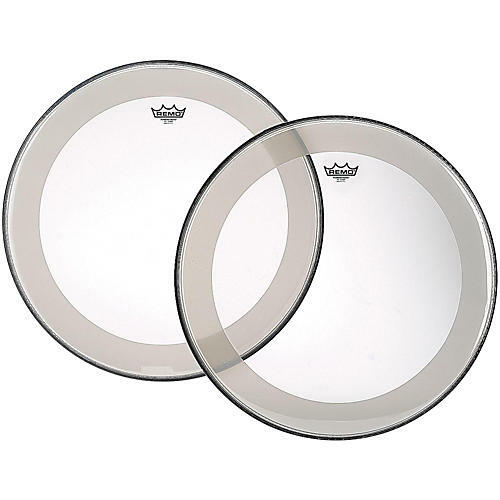 Comprised of two 10-mil mylar plies, this bass drum head includes a falam patch for increased durability.